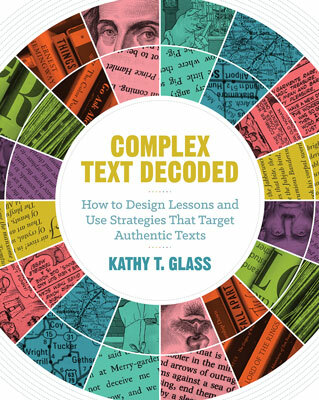 In Complex Text Decoded, education consultant and former master teacher Kathy T. Glass presents strategies, activities, and assessments that target students' ability to comprehend complex text—whether presented as traditional written text or in multimedia formats—in grades 5–10. It's important to provide opportunities for students to read a wide variety of texts for different purposes and along a spectrum of difficulty and length. To meet the goal of comprehensively grasping complex text, students must have concrete tools to help them become highly skilled readers. Complex Text Decoded enables teachers to provide precisely that. KATHY T. GLASS consults nationally with schools and districts, presents at conferences, and teaches seminars for university and county programs delivering customized professional development. A former master teacher, she has been in education for more than 25 years and works with administrators and teachers in groups of varying sizes from kindergarten through high school. Her expertise revolves around areas of curriculum and instruction.